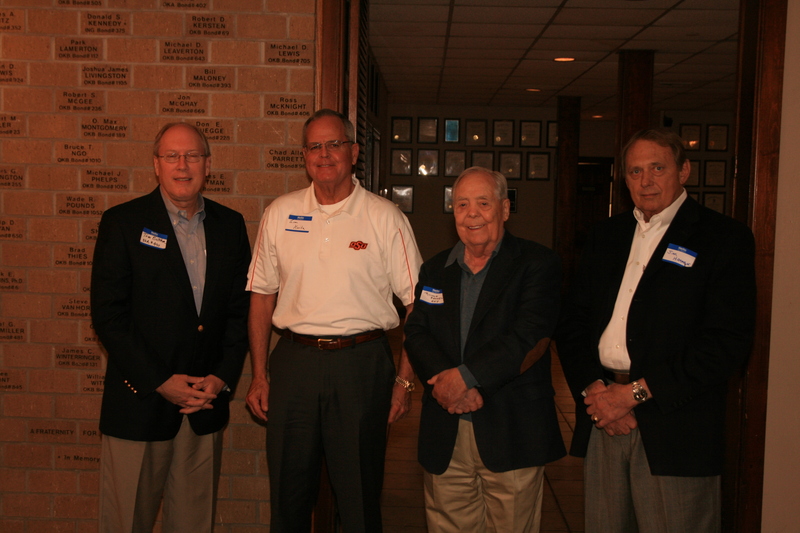 In 1966, the Phi Delta Theta Oklahoma Beta Chapter created the A. B. Alcott award to honor those Phi Delta Theta Oklahoma Beta alumni who have made outstanding contributions to the Oklahoma Beta Chapter. The award was named after A. B. "Mayor" Alcott. 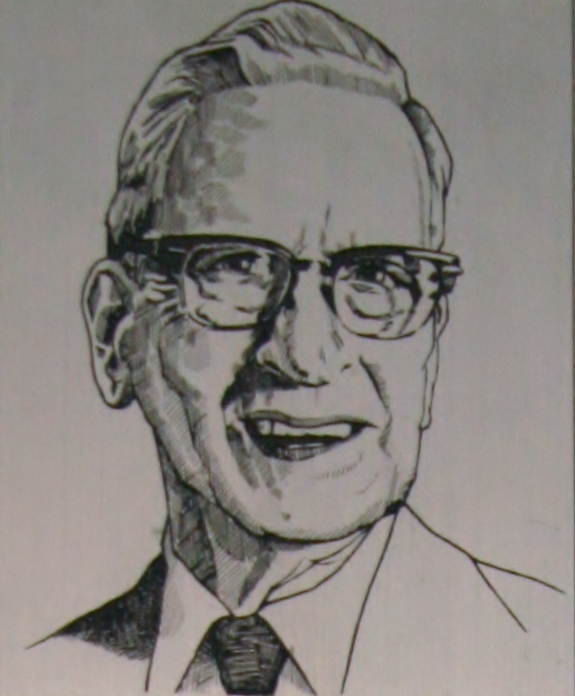 Brother Alcott was an Oklahoma Alpha Phi "Bond #80" who served as the General Chairman of the Oklahoma Beta Chapter installation ceremonies on December 12, 1946. Brother Alcott was born December 23, 1894, Stanberry, Missouri, and came to Stillwater, Oklahoma in 1915 where he lived except for his tour of duty during WWI. He was initiated at the University of Oklahoma where he holds Bond Number #80. He was employed by the Stillwater National Bank before being elected as Mayor of Stillwater for three consecutive terms. His retirement from political life occurred in 1961. Brother Alcott served Oklahoma Beta as their Chapter Advisor for 23 years from 1947 to 1970. Brother Alcott passed away in 1977. Nominations for the A. B. Alcott award can be made by either the active chapter or the alumni, but must be approved by both. It has become Oklahoma Beta's most prestigious award and has only been presented 12 times in the past 26 years. "It is Brother Alcott's love for the Fraternity, his enthusiasm to help society and his devotion to Oklahoma Beta for which we recognize and honor Oklahoma Beta Alumni who exemplify his philosophy of service to the Fraternity." The previous award recipients are: Charles Corken, Bond Number #288, Awarded 1968. Robert C. Cornforth "In coelo quies est", Bond Number #227, March 15, 1970. Richard E. Feasel, Bond Number #248, March 15, 1988. Kenneth D. Greiner, Bond Number #230, March 16, 1991. D. Allen Wint, Bond Number #179, March 19, 1994. James G. Hromas, Bond Number #340, Award April 18,1996. Jack Cozier "In coelo quies est", Bond Number #104, April 18, 1996. Thomas D. Butcher, Bond Number #490, March 28, 1998. Michael S. Hyatt, Bond Number #347, April 7, 2001. James R. Karcher, Bond Number #505, March 8, 2003. W. W. Allen, Bond Number #220, March 5, 2005. Douglas Thompson, Bond Number #528, March 28, 2006. James A. Keitz, Bond Number #352, April 2012. Tom Butcher, James Keitz, Richard Feasel, Jim Hromas, Founders Day 4/21/12 A.B. Alcott Award winners.